Balance Pad is made of soft EVA foam material that rebounds back to shape. 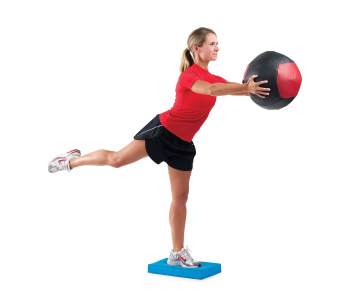 Great for balance and coordination activities. Measures 17” x 10” x 2 3/8”.